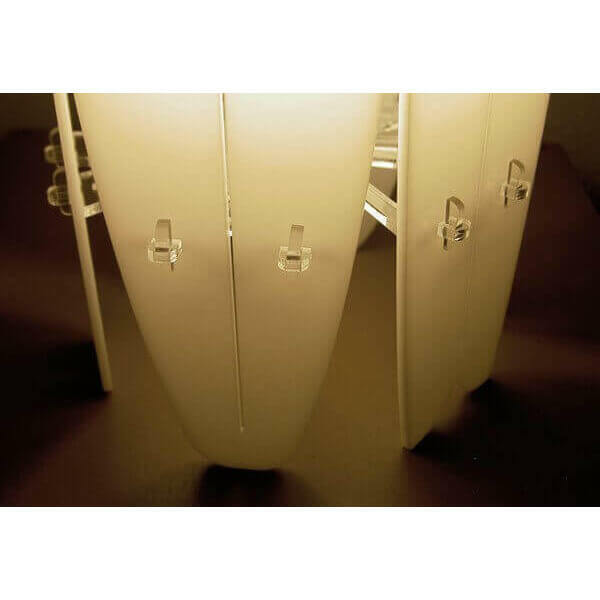 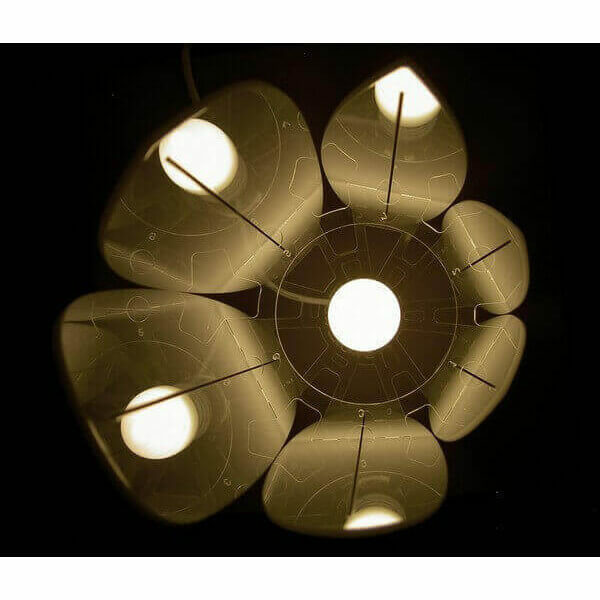 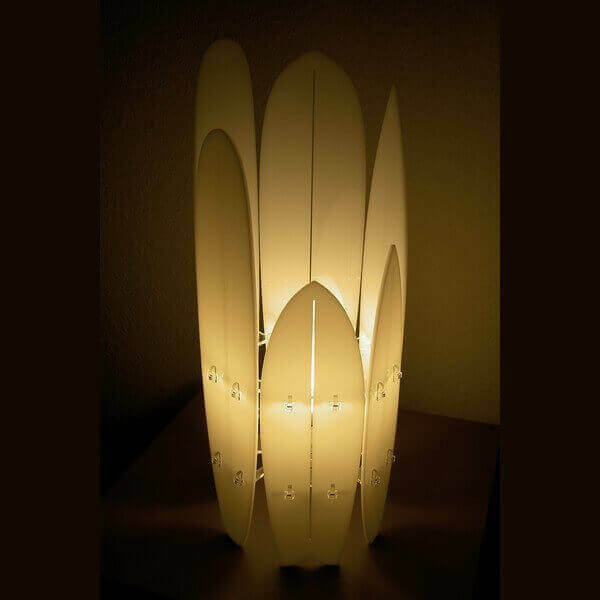 Table lamp made in the Basque Country (Guethary) Fief of surfing and surf culture in Europe. 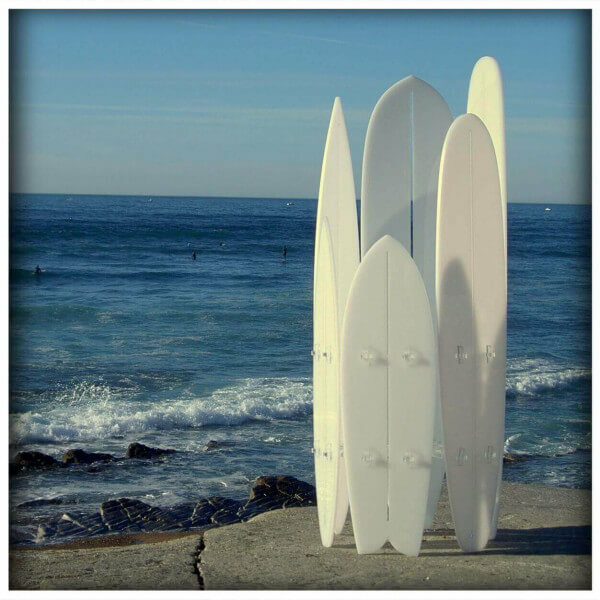 It is composed of 6 small surf boards representing the range of the most popular boards by surfers. 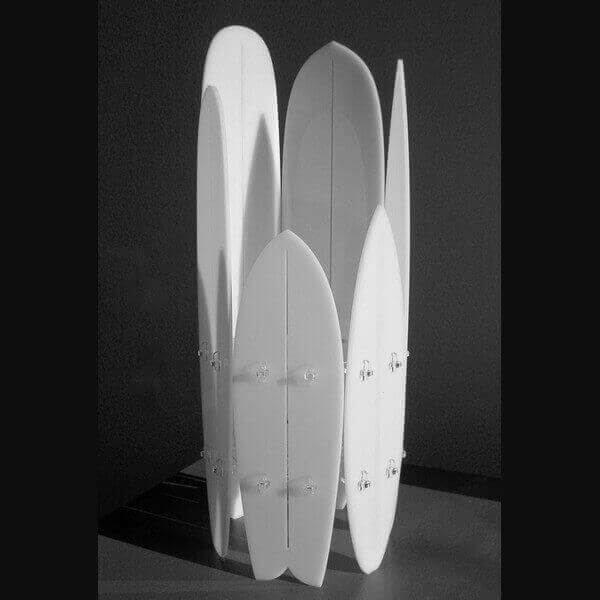 (Fish, Shortboard, Gun, Mini Malibu, Malibu Longboard). 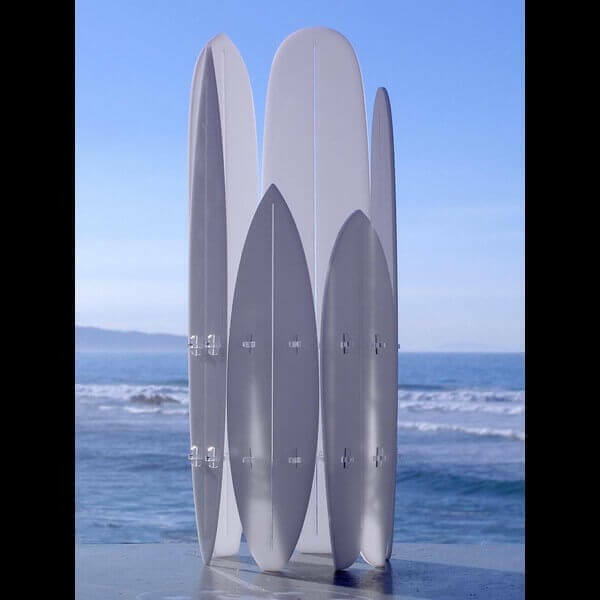 A trendy decoration and an ideal gift for all surfers and surf fans. 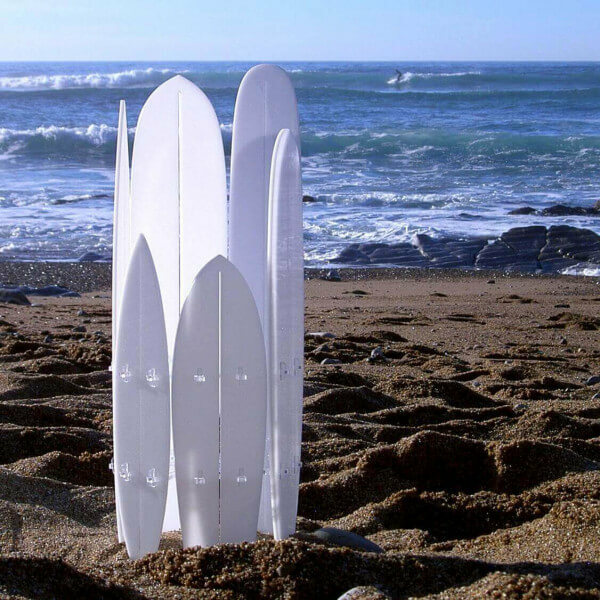 This object is a creation made by designer Samuel Lamballe.